Melissa Made: A Very Happy Christmas! Hi ya everyone! I decided to enter into the Sketch Challenge and Make It Colorful Challenge over at Make It Crafty. The sketch challenge is in the Private Facebook Group. I highly recommending joining this fabulous group of ladies for lots of inspiration and coloring techniques. I used the adorable image Tinkles Digi Stamp. I colored her in Copics and used Echo Park papers. Make It Crafty is having a DT call as well for a Facebook team! Sounds fun, yes? You can find all the information HERE. Gorgeous coloring and love that yummy how combo! Fabulous colouring and so cute! 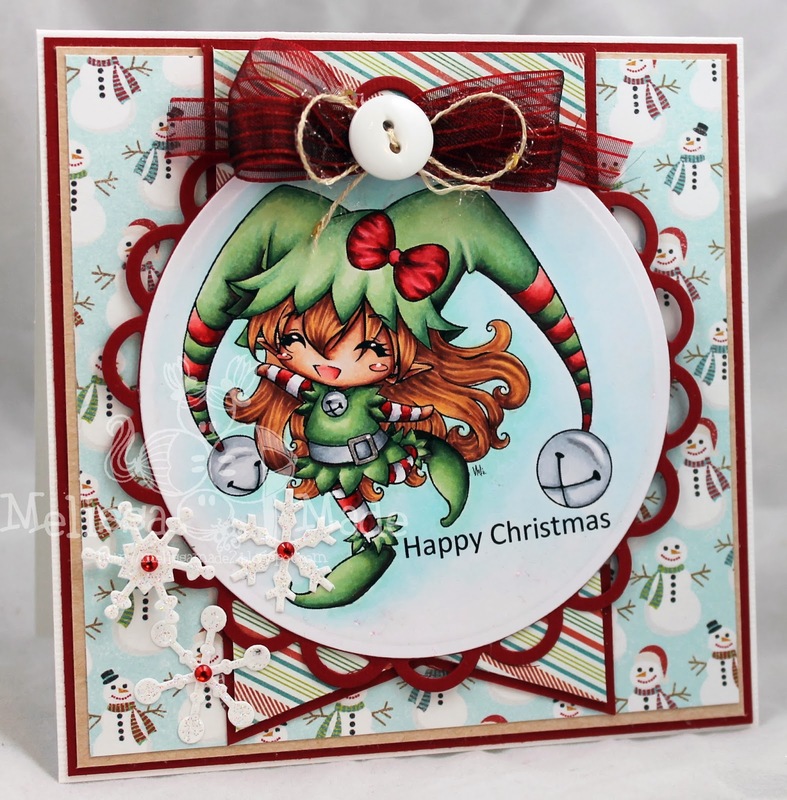 Hi Melissa, wow I adore the way you've coloured her and I love that snowman DP - too cute! Beautiful card, really like your work!